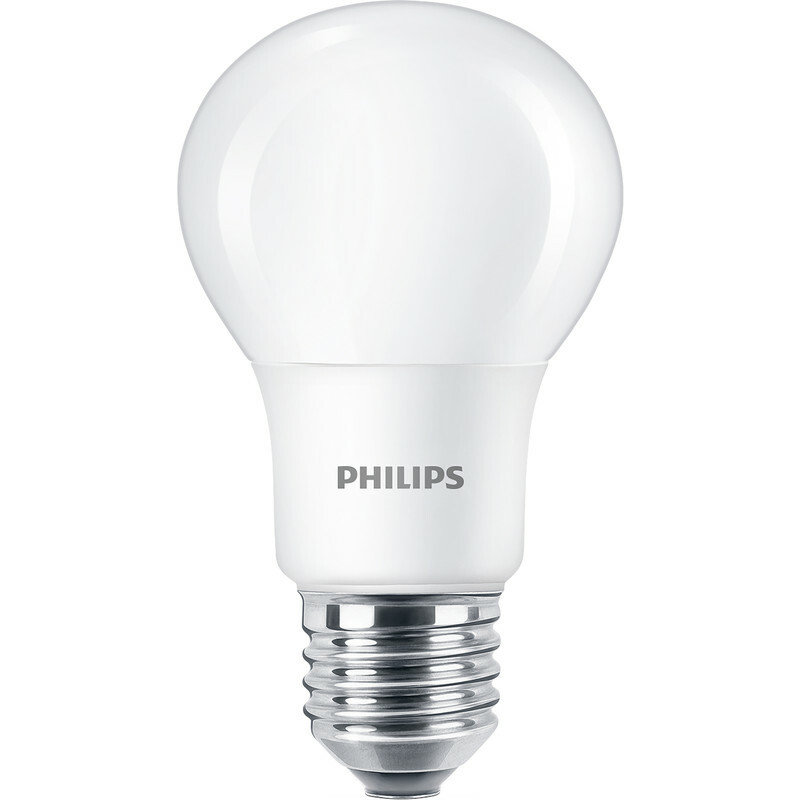 Philips LED A Shape Lamp 5.5W ES (E27) 470lm (6 Pack) is rated 4.4 out of 5 by 24. Rated 5 out of 5 by Sparkysouth from Good quality Exactly what I expect from Phillips. Rated 1 out of 5 by Kidlover from Misleading I bought this based on the image which shows the light bulb has a bayonet fitting but on purchase I received a ediscon screw. The picture does not match the product! Rated 1 out of 5 by Claire59 from Misleading photograph I recently purchased these lightbulbs as I assumed from the photograph that they were a bayonet fitting. Upon arrival they were a screw fitting and when I took the matter up with Toolstation they pointed out that the description printed below the photograph clearly stated ES Edison screw and did not really give a clear explanation why the photograph was wrong. Future purchasers be mindful when ordering products that the photograph may not be in line with the description. Rated 5 out of 5 by Odnny from Quality bulbs Just replaced all our bulbs. These are good quality and an excellent price. The light output appears to be as stated and is a good colour for home use. The bulbs are only slightly bigger than traditional incandescent bulbs so will fit older shades and lamps. Rated 5 out of 5 by Busalez from It lights up !!!!! I really don't know what they want me to say about this item, I needed some replacement light bulbs so I bought these and although the price was very reasonable I cannot confirm whether they last for 15000hrs as I've only had them for a week but I can confirm that they are still working after a week, so far so good.